This bizarre video footage shows what one man believes to be an extra-terrestrial visit from an ‘enormous’ UFO over his street. 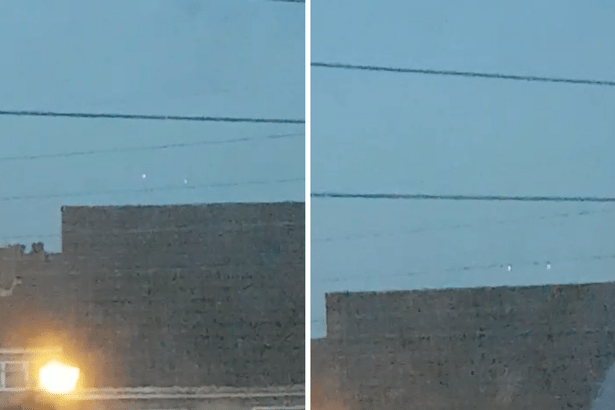 Mike Westlake, 28, shot the mobile phone footage showing three large, bright lights in the shape of a triangle flashing in the same straight line through the sky. “I have got a motorbike so before I go to bed I check and make sure the gate’s shut,” he said. Mike added: “I didn’t know exactly what it was, I don’t know if it was anything from outer space.